Ok, this is the Friday non-blog post, post. Short and sweet with little meat. 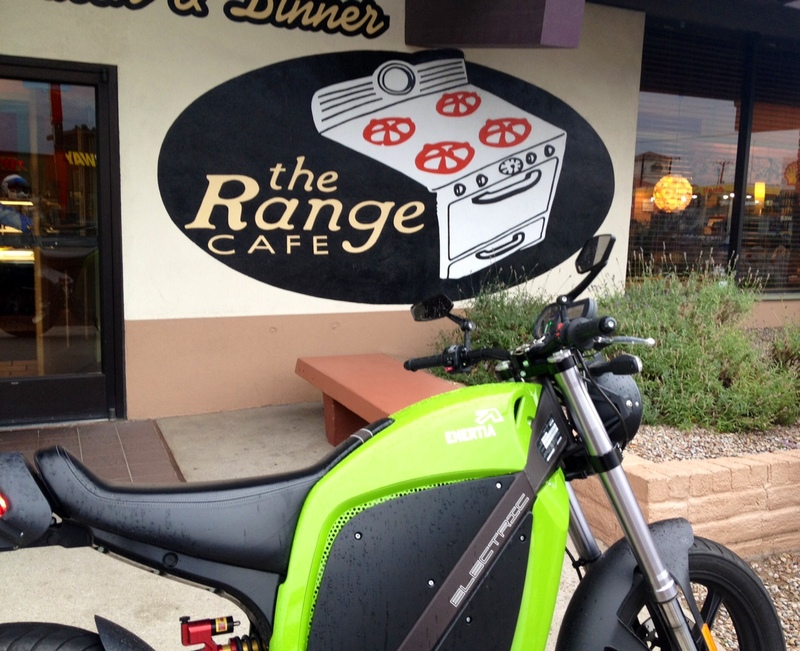 Brammo Blog (me) is heading to Durango in the morning…so hopefully, weather permitting, there will be lots of pretty photos up in herrre come Monday. 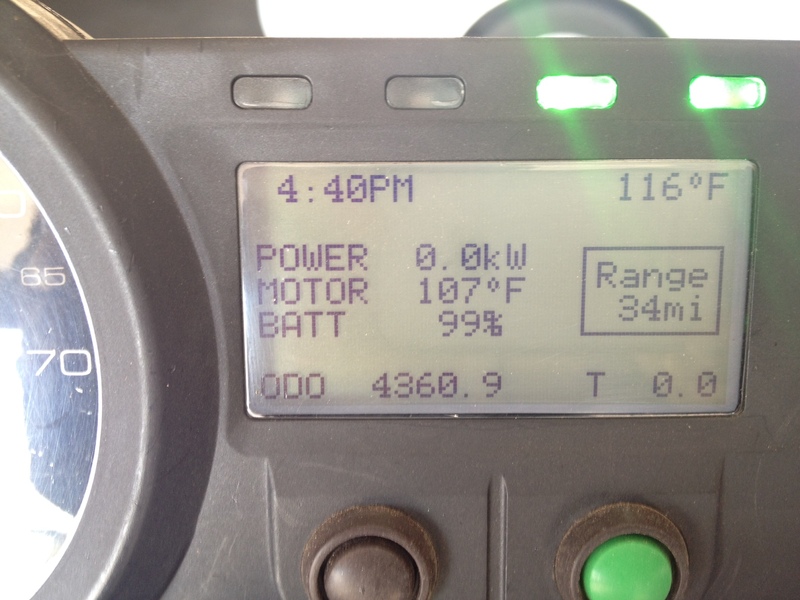 now to be honest, it wasn’t 116 here, just a bit over 100…but the battery compartment did get to 116 degrees while sitting in the sun. The sun is bright and hot here at 5331 feet. Which is the altitude of my driveway. 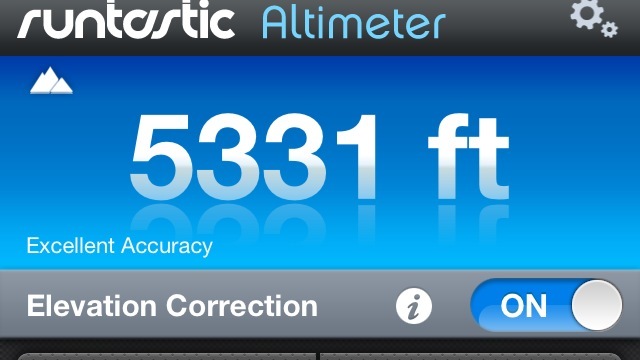 Ok, to be REALLY honest, this is the altitude of me lying on the couch in my living room. I just happen to be testing the Altimeter while being in, what my wife fondly calls, That ONE Damn Position Gavin is Always In. Ok, to be really really honest, there is nothing “fondly” about how she calls me being on the couch. It’s not my fault that we happened to buy a really really comfortable couch. My transport truck bumper…Ska Brewing and Brammo. I will be riding one to do a tour of the other. As in, I will be riding the Enertia over to the World Headquarters of Ska Brewing for a tour of their facilities. Tours daily at 4 pm, except on Sunday. Ska is closed on Sundays. 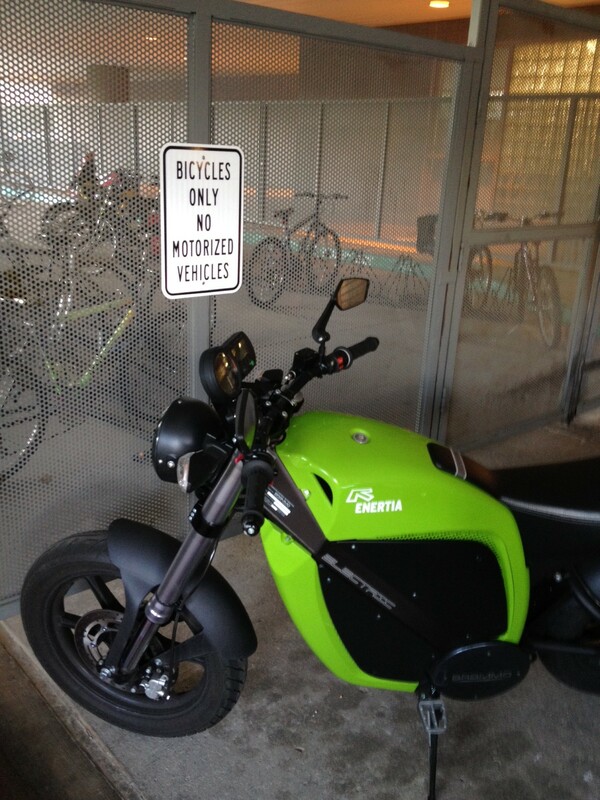 The sign probably means no motorcycles inside the cage. I choose to think it means no parking where I parked too…just so I can be a REBEL!! Have a wonderful time in Durango. Will do…actually that is a great suggestion…originally I had planned to have a mediocre time at best. Maybe even a crappy time. But now I plan to have a wonderful time. Thanks!